The designer also tells us about the power of experimentation, and gives advice on how to be a better teacher. Tina Touli is the epitome of the modern designer – working as a graphic designer, creative director and educator across a wealth of different media and forms in both digital and print. 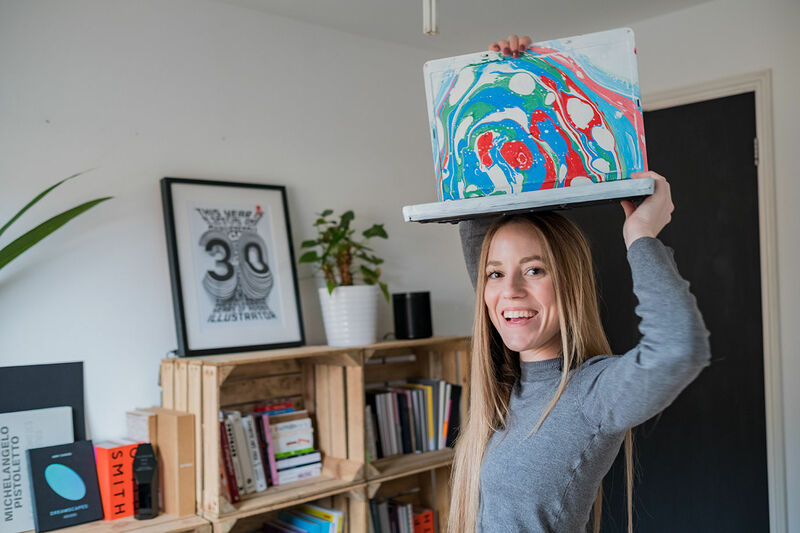 Originally from Greece, she’s now based in London – so we went to visit her studio to film an interview about her practice, how she got into showing her skills live for students and on behalf of clients such as Adobe, and her tips for designing live in front of any audience (whether in front of you or online). If you’re unable to watch the video below or would just prefer to read Tina’s thoughts and insights, you can read an edited version of the interview below it. Tina works across a broad range of design fields, including typography, editorial, moving image, animation and 3D. “That's what excites me the most: the challenge of having a variety of projects to work on,” she says. “So every time that I have a new project, I like it to be totally different from the one before. This experimental approach also extends to when Tina is working on particular projects. For example, Tina cites her What About Water project, where five posters and a video were created over two hours on a livestream for Adobe (which you can watch a recording of here). The project started before the livestream, with exploration with two of her friends, Jakob Ritt and Stella Wang. They began by playing with petrol, wanting to create the refracted, rainbow-coloured look of petrol or oil on tarmac. However, this didn’t give them the effect the wanted, so they tried adding other substances to give them the look they wanted – finding the addition of beaten egg gave the results they wanted. However, she advises against beginning a project like this with no pre-preparation, assuming you’ll find the answer along the way. Research and having tried a few things in advance is essential to success, even if by experimenting and iterating you end up with something quite different to where you started. As with most designers, Tina’s clients get in touch with her because of her portfolio of work. From which they mention and what they like about them, Tina often gets a handle on what they’re looking for from her for them. “They will come to you and say, ‘Oh, we love that these projects are black and white, and how strong the contrast is". Or ‘we love the colours and typography on this one.’," she says. Certain projects come up again and again. 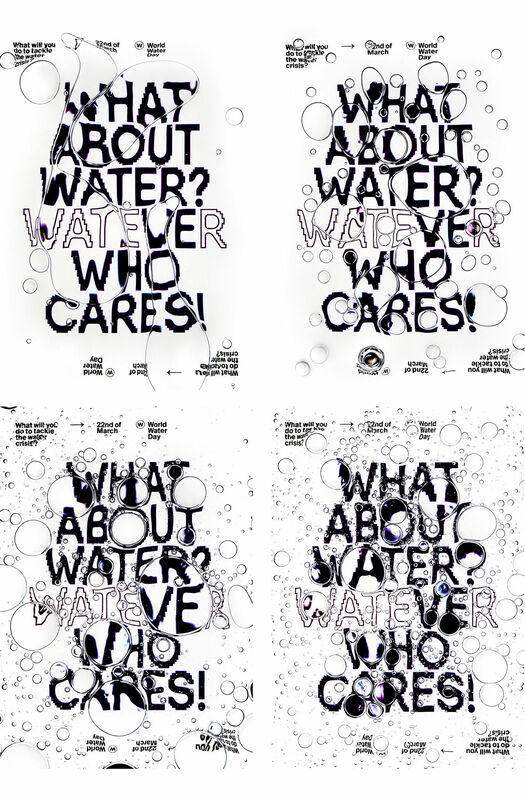 Fashion and sport brands often reference the What About Water project, citing the distortions and use of type. Another often referenced project is the branding she did for the Athens Digital Art Festival in 2018. This features shiny liquid metal balls burbling around the streets of the historic city. It’s based around the festival’s theme of ‘Singularity now’. To Tina, this raised questions about what's going to happen in the future. 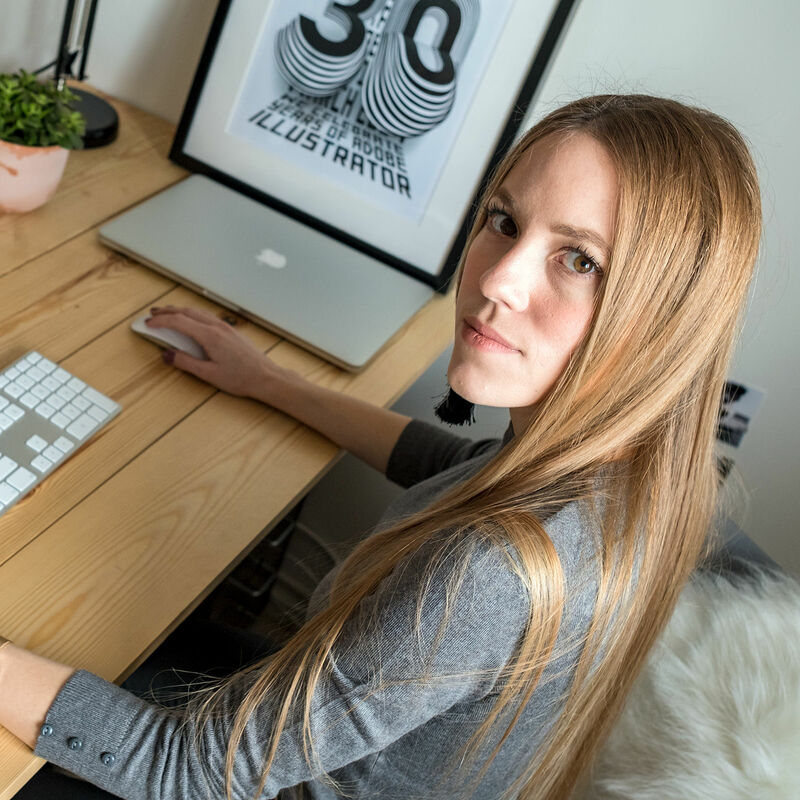 Alongside her design practice, Tina teaches the Digital Illustration online short course at Central Saint Martins. “It’s interesting because it gives me like a break from creating things – and I get the time to share my knowledge with the students,” she says. “To do this well, I have to consider how they approach it, what are their concerns and their way of thinking is sometimes like quite exciting and quite nice too to consider. Sharing and showcasing your practice to an audience can be daunting to creatives – even those with years of experience of talking to clients. Discussing how you produce your work – whether to a small group of students or to a wider audience like the Adobe livestream – in a way that helps others improve theirs requires different presentation techniques to discussing why with clients. To learn this, Tina had to overcome something that had made her leave a previous life. As you can see in our interview and the Adobe livestream, Tina comes across as confident on camera – which she says she learned through working on livestreams and teaching at CSM. Along the way, Tina has used friends and fellow designers to practice – something she still rates, but she has clear advice about how to judge their feedback. “Having my friends as audience is great so they can tell me how they feel and if they understood everything,” she says. “However, if they say that everything was okay, it's definitely not. You have to make sure that your friends will be honest with you and tell you like what to actually correct – because it can never be perfect."